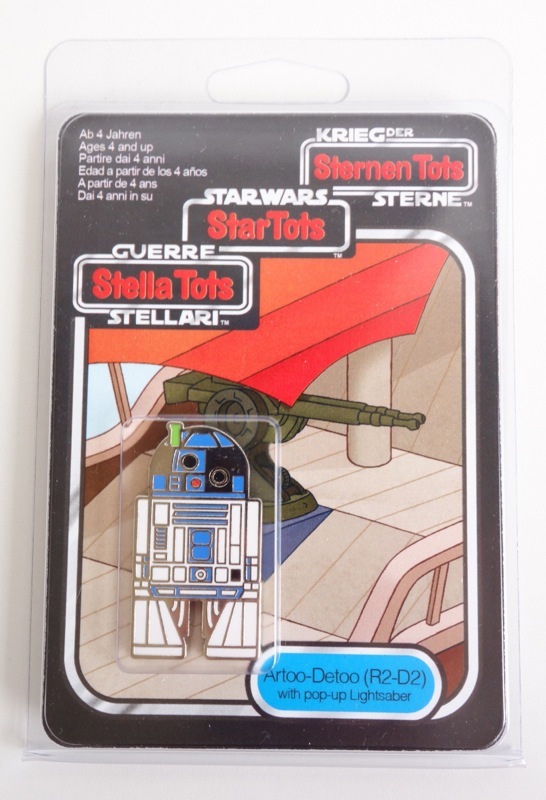 Star Tots were originally a line of preschool Star Wars toys that never got beyond the planning stage. 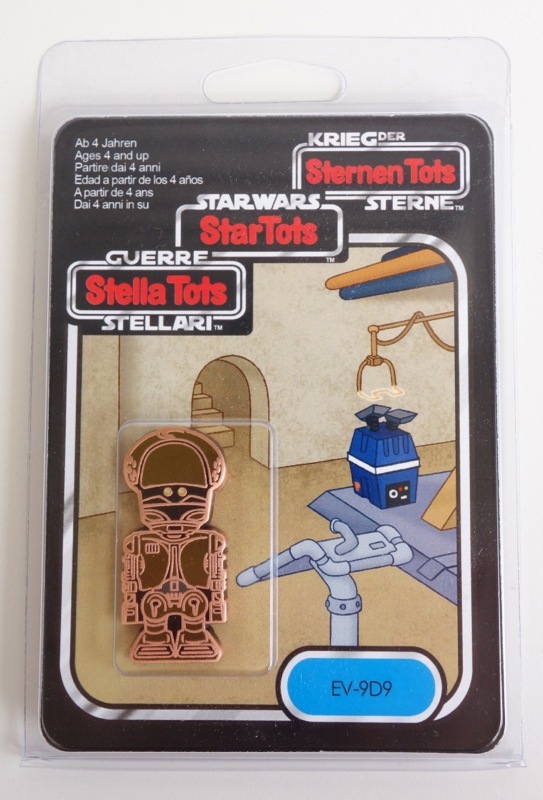 They were resurrected, in a way, for Celebration VI in the form of small die-cast metal “figures” on cardbacks that mimicked those of the vintage Kenner figures. 20 different characters were made for Celebration V and then another 15 for Celebration Europe (and that is where most of these came from). 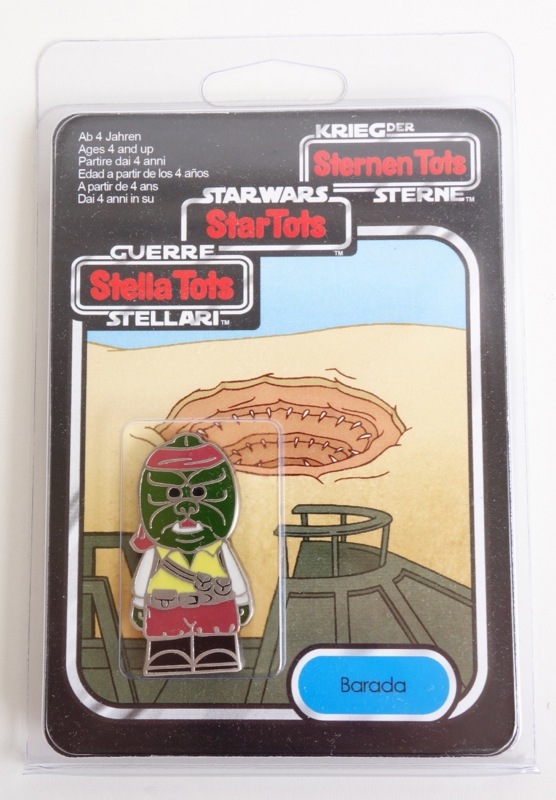 The Celebration Europe versions are all based on the trilingual “Trilogo” cardbacks used when vintage Kenner figures were sold in Europe, and each has unique card art by Jason Peltz, who did the “Hop on Hutt” print I posted about a while back. Since they were never sold, you basically can only get them from someone who attended the panels (or from one of the sponsors) and this can make them a little pricey. I was quite impressed with these when I got them in hand. 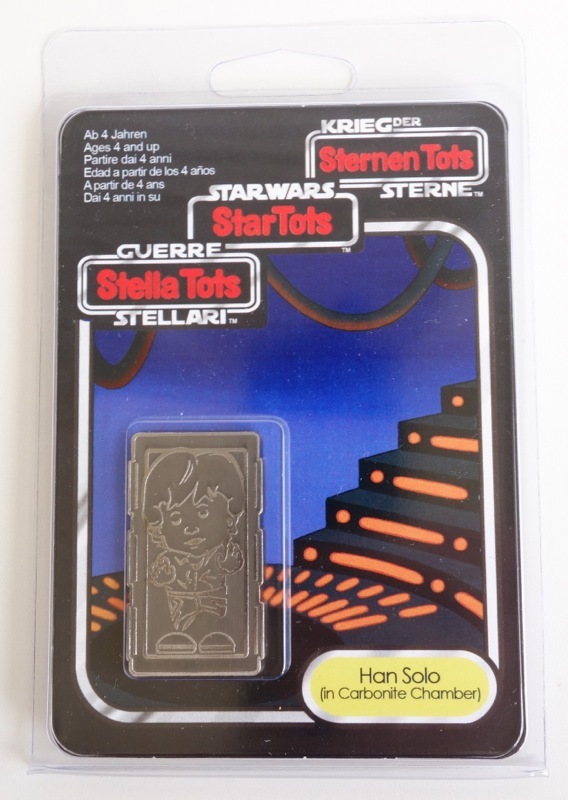 The tots themselves are around 1.75″ tall and are made of thick metal around 1/8th of an inch thick. The details are enamel and very neatly done. 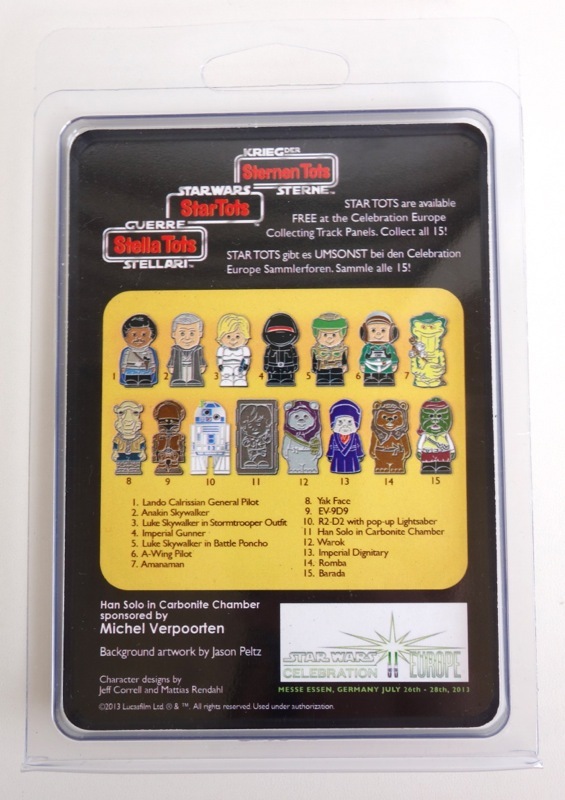 I’ve collected the ones that could potentially be considered Jabba-related (although I guess the Jawa from the first wave could also fit). They’re packaged in a plastic clamshell that allows you to remove them without causing any damage to the package at all. 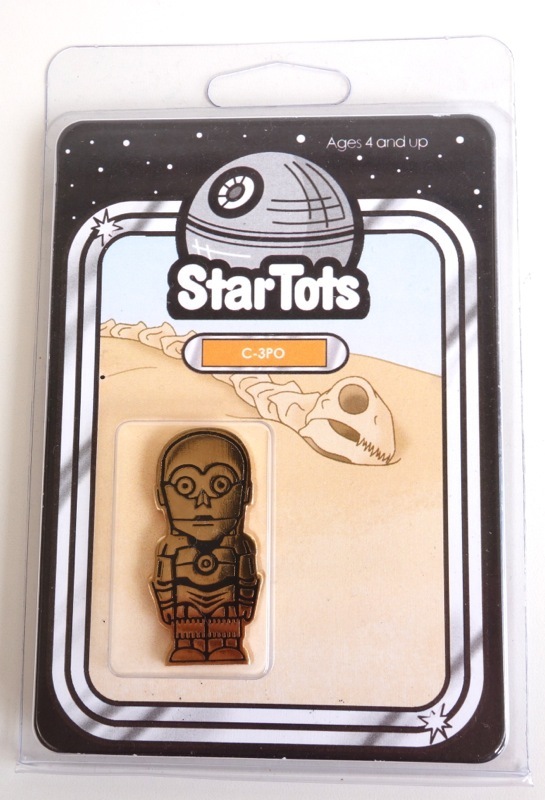 On the back of each tot is the name of that character’s sponsor and some other things like copyright info — apparently these are officially licensed collectibles. I don’t know if they plan to continue on with the series for future celebrations. I think a Jabba would be awesome, and I might even consider sponsoring one myself (although I have no idea what it costs). 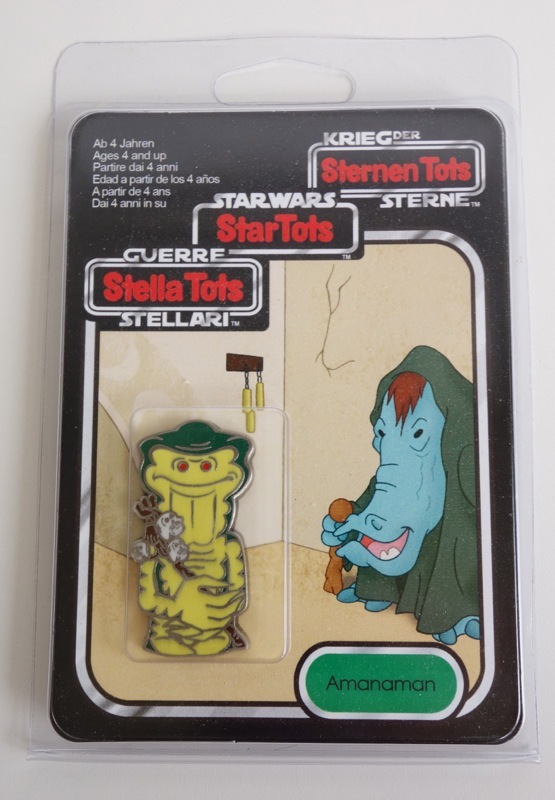 But of course Jabba usually gets short shrift in these kinds of cases because he didn’t come on a cardback like most figures. 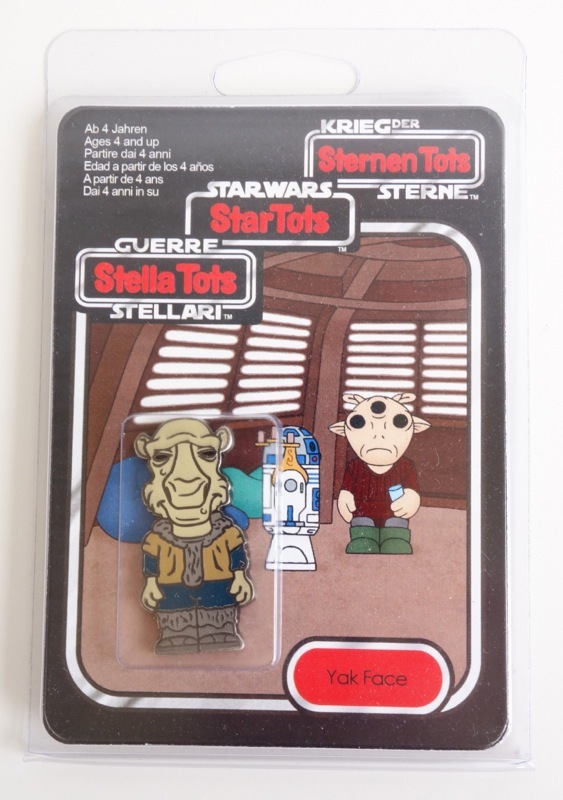 Some people don’t consider figures like the Rebo Band or Jabba to be “real” figures because of the way they were sold, which seems rather silly to me.